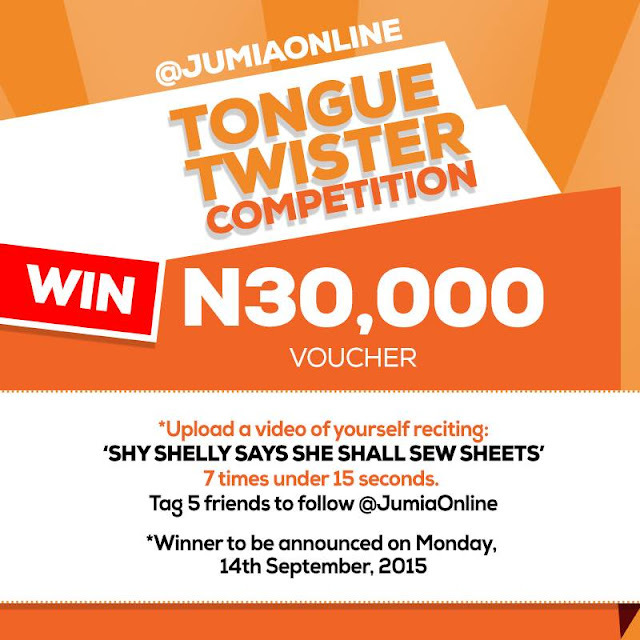 Do you have what it takes to win the 30K voucher on Jumia? -Tag 5 friends to follow @jumiaonline to qualify. Winners will be announced on Monday,14th September,2015.